Andiy Deshchytsya has dismissed as a manipulation the Polish prime minister's remarks in the European Parliament. 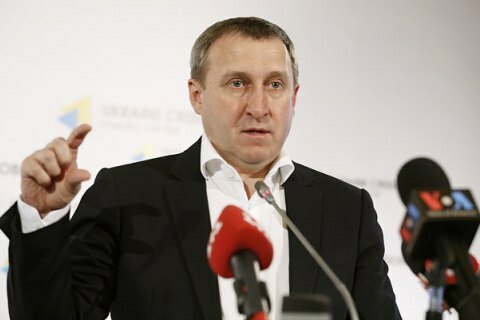 The Polish prime minister's statement about "a million of refugees from Ukraine" is wrong, Ukraine's ambassador to Poland, Andriy Deshchytsya, has said. During the 19 January debate in the European Parliament, Polish Prime Minister Beata Szydlo said that Poland "welcomed around a million of refugees from Ukraine, people whom no-one wanted to help." Deshchytsya said this statement was a manipulation. "Certainly, it is good for Poles to say that they are already having problems with refugees from Ukraine. This way they are simply using the fact that there are Ukrainian labour migrants in Poland to counterbalance the arguments in the EU debate on the reception of refugees," he said in a comment for Ukrinform. In fact, according to the ambassador, there are around 1 million labour migrants from Ukraine, not refugees. "There are no refugees from Ukraine in Poland, there are labour migrants who stay in the Republic of Poland officially, have a good reputation, facilitate the development of the Polish economy and have no social assistance from the Polish authorities," the diplomat said. According to the Polish department for foreigners' affairs, 2,253 Ukrainians applied for a refugee status in Poland in 2014. Two Ukrainians were granted this status in 2015, while eight were issued a permit for so-called tolerant stay and five received extra protection. According to Eurostat, 247,400 Ukrainian received Polish residence permits in 2014 and 237,000 in 2013. The new Polish government opposes an automatic distribution of refugee quotas among the EU member states and is very sceptical about receiving illegal migrants from the south. Ex-MP says amending constitution "Putin's plan"